A look at a custom wedding invitation from Southern Twist Designs! 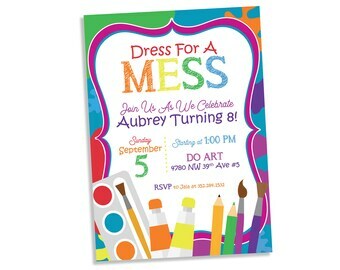 --PRINTABLE INVITATIONS-- What does that even MEAN?! It means we design the invitation of your dreams, send you the high resolution print ready files and you print them at home or get them printed yourself at your local print shop or online. 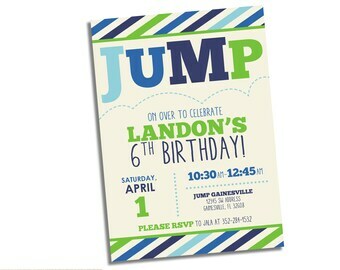 Our most popular printable party invitation! We offer this design in a variety of colors or can match your ideas. We also have matching banner, cupcake toppers & more. All sent as digital files that you can send to your favorite printer or print at home. Another summertime birthday invitation favorite! We love all the summer themes so we'll try to share a new design each day. Here is a teal and pink mermaid invitation. You can include a picture or not. Enjoy your summer day! A new twist for the summer on one of our favorite dinosaur invitation designs! Roar for a pool party! Calling all SUPERHEROES...I just updated these very popular invitations and offer printed options. Contact me for more information! I'm working on updating some of my older listings and adding new ones like this geo design baby shower invitation. Who says a baby shower needs to be like pink or blue?!? Not me! Spring is coming soon, which means new wedding sets! We are located in Gainesville, FL. We are all ok but thanks to Hurricane Hermine we are without power. We'll be back up and running as soon as we can. Thank you for your patience! Celebrating ONE YEAR of designs! I had my first etsy sale a year ago today. What an amazing and FUN year it has been. Now I've had 356 sales! I'm proud of the experience I've gained this past year and I'm look forward to more growth as a graphic designer. STOREWIDE SALE! August 31- September 4 SAVE 10% ON ANY ETSY LISTING! Here are 3 new designs for your little artist Check us out tomorrow through the Monday to SAVE! What does that even MEAN?! It means we design the invitation of your dreams, send you the high resolution print ready files and you print them at home or get them printed yourself at your local print shop or online.